Since 2005 the award-winning Pre-K Pals Toy Drive has made the holidays brighter for HISD pre-school students in some of Houston's most at-risk communities. Each year we collect over 3,000 toys and partnering up high school students, parents, civic and business leaders and elected officials to not only wrap all 3,000 toys, but also visit the schools and hand them out to experience first-hand the importance of giving back. Your contribution helps to purchase toys, wrapping paper, tape, posters, toy collection boxes, rental of the "Santa's Sleigh" (aka a Uhaul for four days to transport the thousands of wrapped toys) and overall produce this important, impactful event. There is no paid staff and everyone volunteers because they simply want to bring joy to those less fortunate. The Pre-K Pals Toy Drive was also created to showcase and bring awareness to 5 HISD early childhood centers created to make pre-school education accessible to neglected areas where it is needed most. In the last 13 years, thousands of people have been exposed to the pre-schools (and at-risk neighborhoods) for the first time. In many cases, those generous individuals return to volunteer in other ways for the schools. We're short on our goal this year and your support truly matters and makes a difference in the lives of so many. Please make a small donation or sponsor a classroom and bring a smile to these amazing kids! 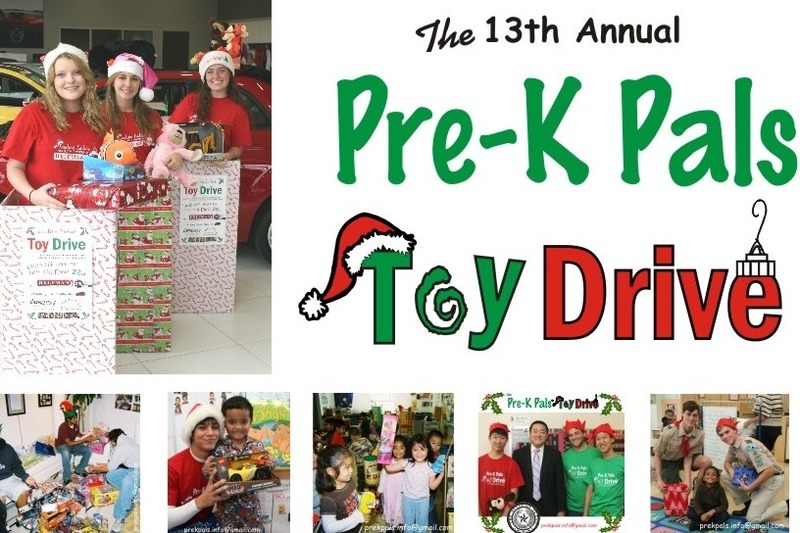 Please join us in kicking off the 12th annual Pre-K Pals Toy Drive! Your support, large or small, will bring holiday cheer to so many HISD pre-school students! Wrapping over 3,000 toys each year since 2005 because of your support! Wrapping over 3,000 toys each year!